When it comes to power and performance, there is nothing small about the Baby Tremor PW Powered 15" Subwoofer Cabinet! This high performance compact 15" Active subwoofer is the ultimate in power, performance and portability for any PA setting. 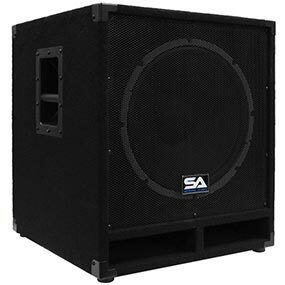 The Baby Tremor PW was designed with medium sized live sound and DJ setting in mind...compact size with deep bass production, this powered 15" subwoofer produces all the deep low end bass you crave! It is constructed entirely of 7 ply Birch plywood and has a full metal grill. The cabinet houses a 15 " Woofer that operates at 300 Watts RMS and 600 Watts Peak Power and reproduces low frequencies down to 35 Hz. 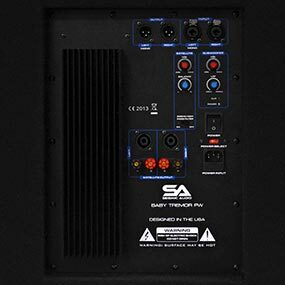 The built in amplifier makes it the perfect all in one solution to any PA application, whether it be Clubs, DJ, partys, weddings, or Church events. The Baby Tremor PW 15 Inch Active Subwoofer also contains a pole mount to accommodate a satellite speaker for optimal full range PA performance. 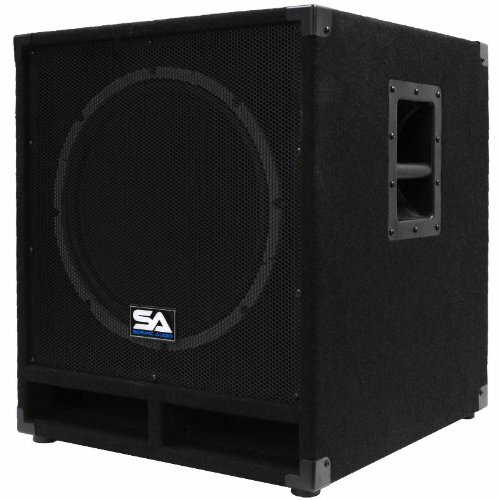 This 15 inch Active Subwoofer Cabinet has a smaller footprint than an 18 inch making it the ideal solution for any live sound or DJ setting in which space is limited, but still needs deep bass! The Seismic Audio brand was designed with the notion that every musician should have access to high quality Pro Audio gear at an affordable price! With your purchase, you will receive one 15 Inch Powered Subwoofer pictured and described above. You will also receive top notch customer service, plus all the technical expertise you will ever need is just a phone call or email away! Join the Seismic Audio revolution and see what tens of thousands already know. Whether it is for the garage band, live sound, stage, or studio...Seismic Audio is bang for the buck, the best Pro Audio gear for all PA applications! 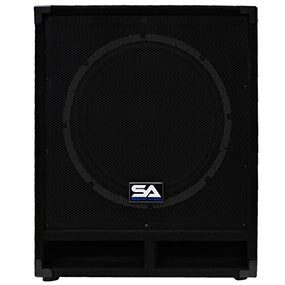 Make the Shift to Seismic Audio quality and affordability - add a Baby Tremor-15 PW Active 15 Inch PA/DJ Subwoofer Cabinet to your cart NOW!